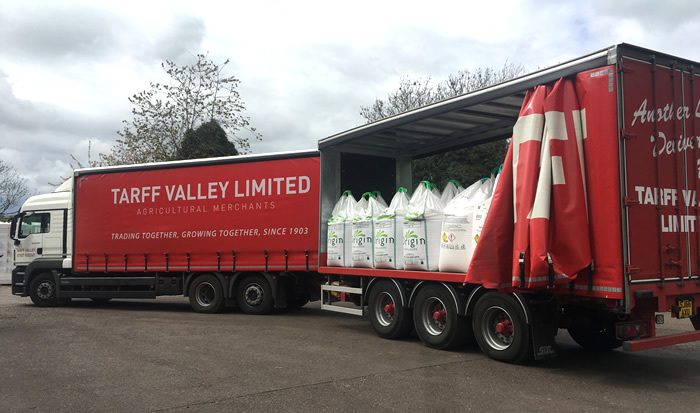 At Tarff we offer a range of fertiliser services. Your fertiliser programme is important and we actively support your specific needs. We have access to a number of suppliers which offer substantial varieties of fertiliser. Offering both slurry and soil sampling to analyse the fertiliser requirements of individual farms, our FACTS registered product managers are able to advise you on your fertiliser requirements. Your local rep can supply you with the materials and instructions needed to carry out a sample. Samples will be sent to the lab, with the analytical results being sent back to us. Slurry results will show the levels of determinants present in the slurry such as nitrogen, ammonium nitrogen, phosphorus, potassium, magnesium, sulphur, copper, zinc and sodium. From this, we can use the analysis as part of your fertiliser programme. Tarff representatives are able to come to farm and take soil samples, or if you prefer, we can supply the materials needed, i.e. soil sample kit and corer, which you can use yourself. Samples will be submitted to the lab, with the results being sent back to us. Soil analysis highlights the levels of phosphorus, potash, pH, calcium and magnesium levels which enable our advisors to determine the fertiliser requirements of your farm to ensure you obtain maximum yields.